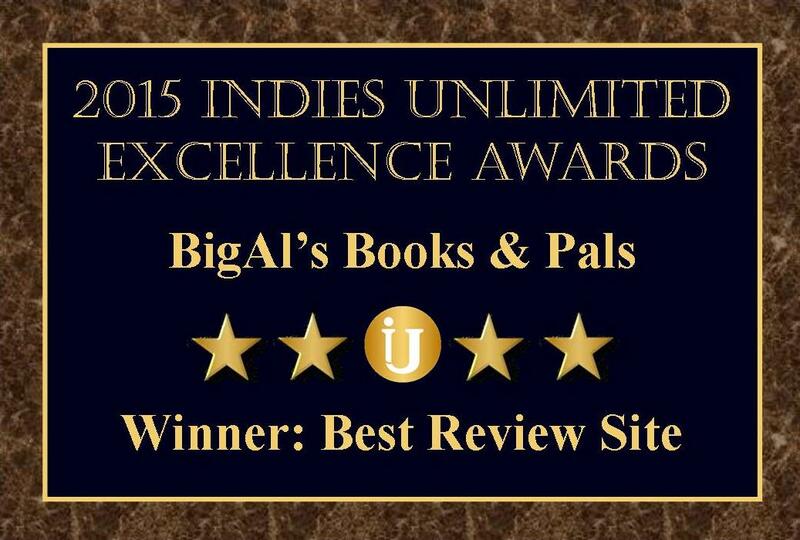 BigAl’s Books and Pals is pleased to announce that we were voted the BestReview Site in the 2015 Indies Unlimited Excellence Awards competition. There were three categories in which the indie community were asked to vote: Best Resource Site, Best Promotion Site, and Best Review Site. We would like to thank everyone who voted for us and appreciate all of your support. We would also like to congratulate all of the finalists who also received lovely badges that represent a vote of confidence from the indie community. 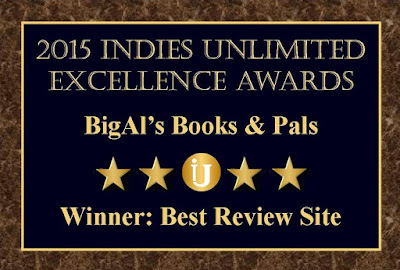 From Indies Unlimited: “We’d like to thank everyone for vigorous participation. The votes constitute an important part of the process, but do not exclusively determine the winner. To balance the votes and prevent the awards from becoming an outright ‘popularity contest,’ we used the Alexa rankings of the finalists in the final calculation. Alexa is the leading web traffic ranking service, and we regard it as an impartial standard. The total votes received by each finalist by the close of the polls was divided by each candidate’s Alexa ranking. The rankings used were those recorded for each site on the morning of January 20, 2016. This methodology was chosen for several reasons. First, while it gives significant weight to the Alexa ranking, it does not allow a site (even with an excellent rating) to win without getting votes. Second, of the various methodologies we tested on dummy data, this was the only one that did not produce ties. It also removes any potential elements of favoritism. Congratulations, Big Al and the Pals! A well-deserved honor! Thank you, Ms. Berner. It's an honor to be recognized like this. Often there are no comments on our reviews, so it is hard to know just how far and wide our reviews are seen. I know reviews are important to authors, but they are written for readers who are looking for good books. 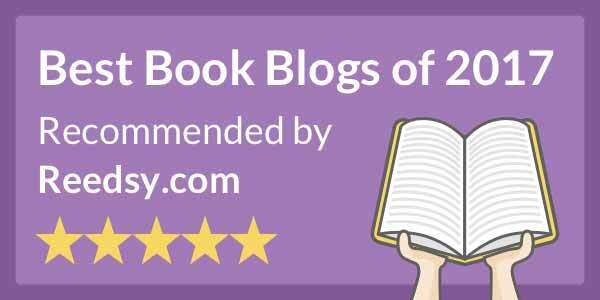 We have reviewed many here at Books and Pals, and yours are among the best. Thank you again for commenting. Not at all surprised that the site has been honoured. I know of no other website reviewing exclusively indie books that is as reliable and professional in approach and product as this one. I am proud to be associated with it. Thanks for the nice comments Karen, ?wazi, Judy, and Vicki. Well deserved. May this site last many more years to come.